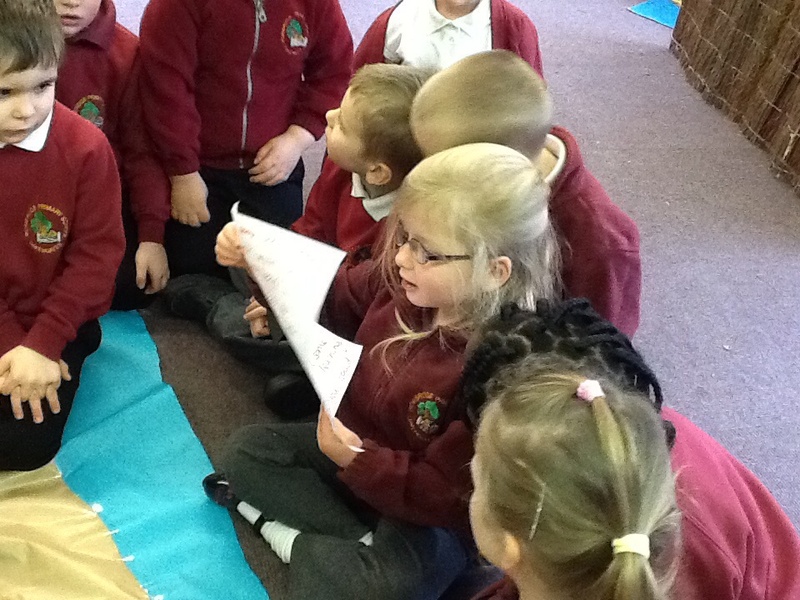 Posted on March 7, 2014 by wombridgeprimaryclass2 | Comments Off on Water, water everywhere! 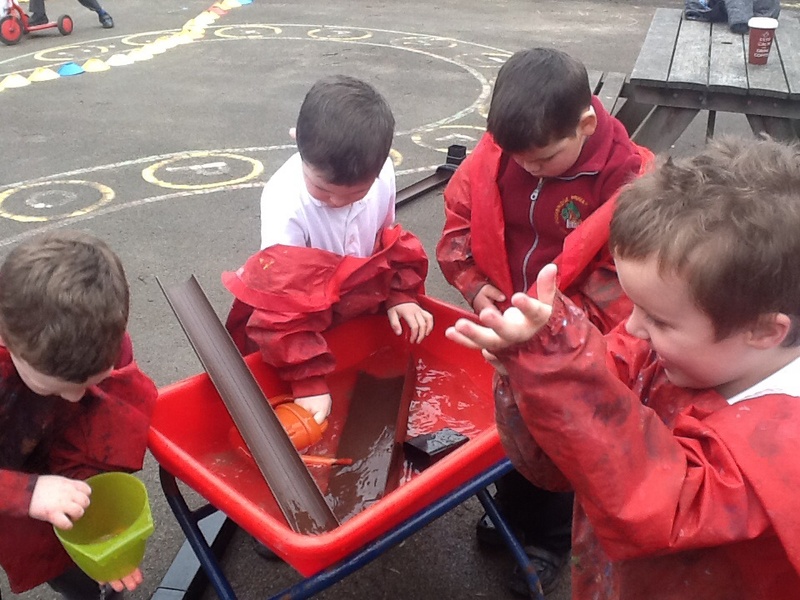 Today we used the pirate’s pool in our water play. 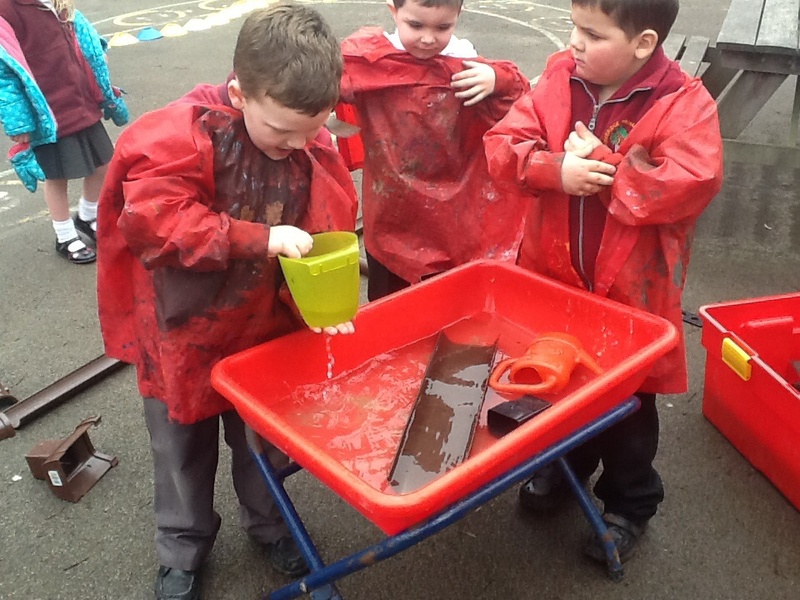 We wanted to make a waterfall but struggled to get the water to move in the direction we wanted it to go in. Why do you think we were struggling? 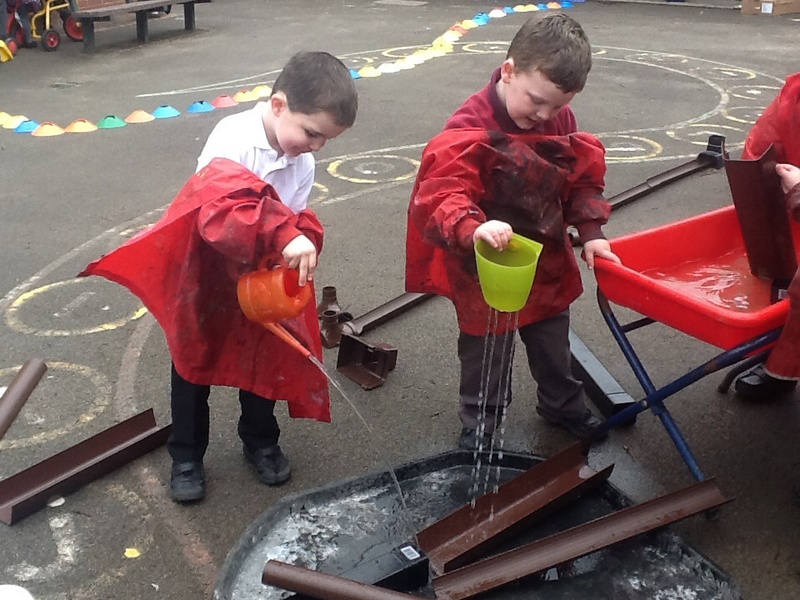 Comments Off on Water, water everywhere! 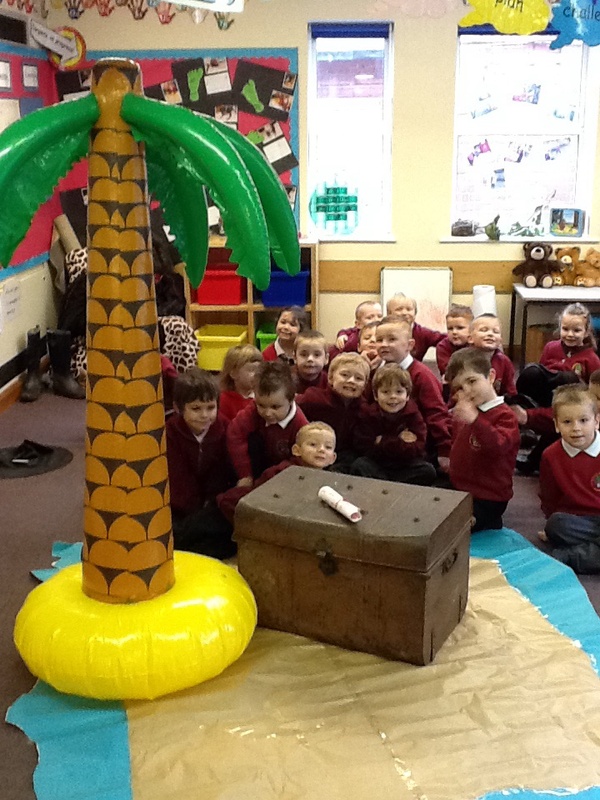 We have learned lots about pirates already. 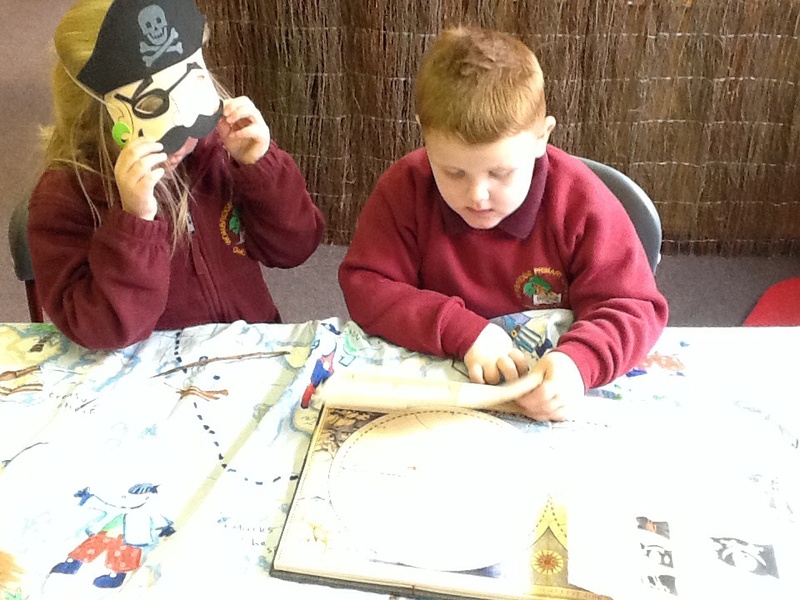 Andrew and Danielle found an old non-fiction book about pirates and found out that a pirate gun is called a musket. 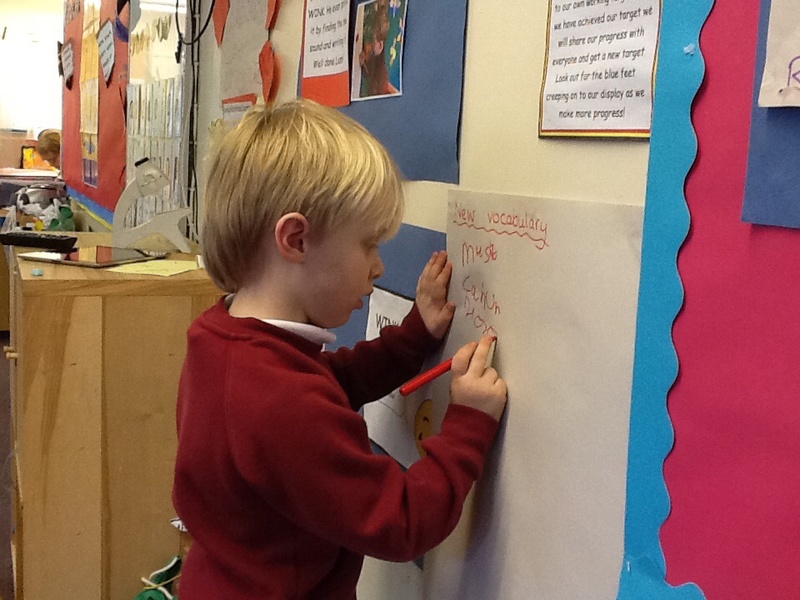 We have been writing a list of new vocabulary, here Harrison is adding ‘maggots’ to the list. 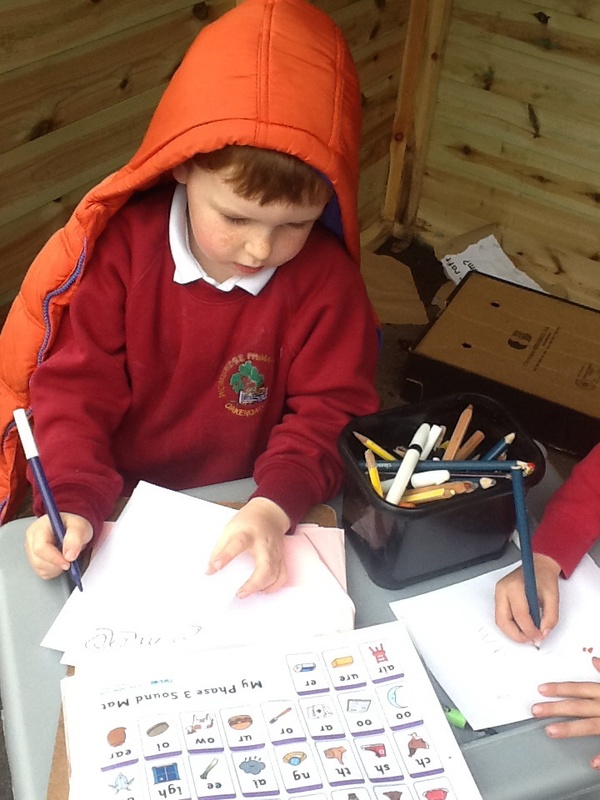 He found out that pirate’s food was often full of maggots…blurgh!!!! 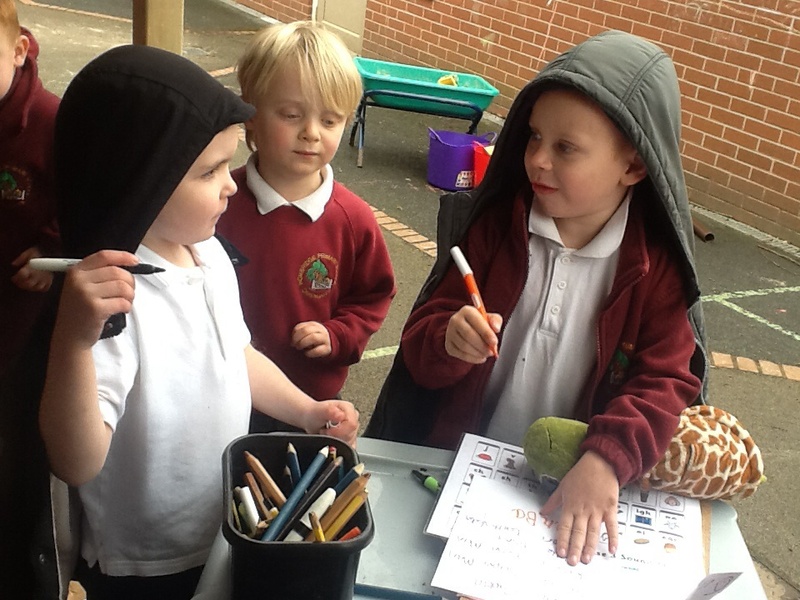 What’s happened to our classroom? 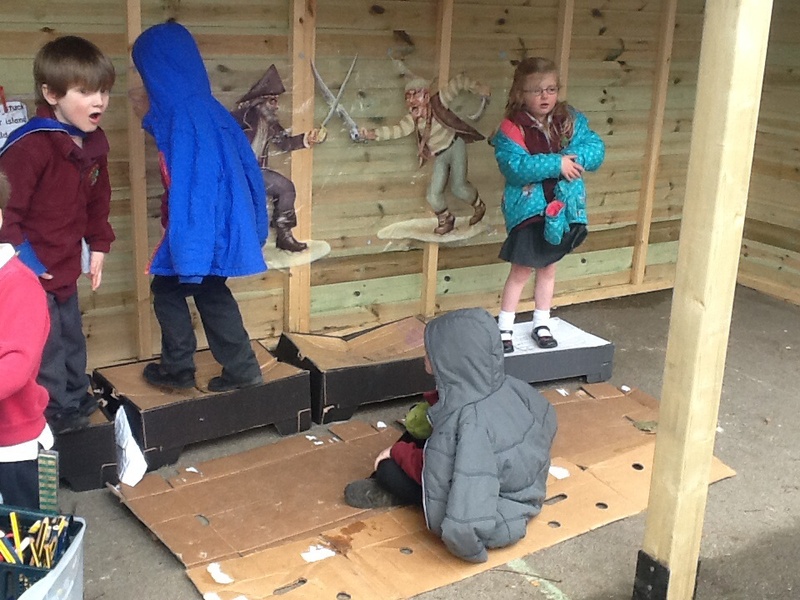 Posted on January 24, 2014 by wombridgeprimaryclass2 | Comments Off on What’s happened to our classroom? 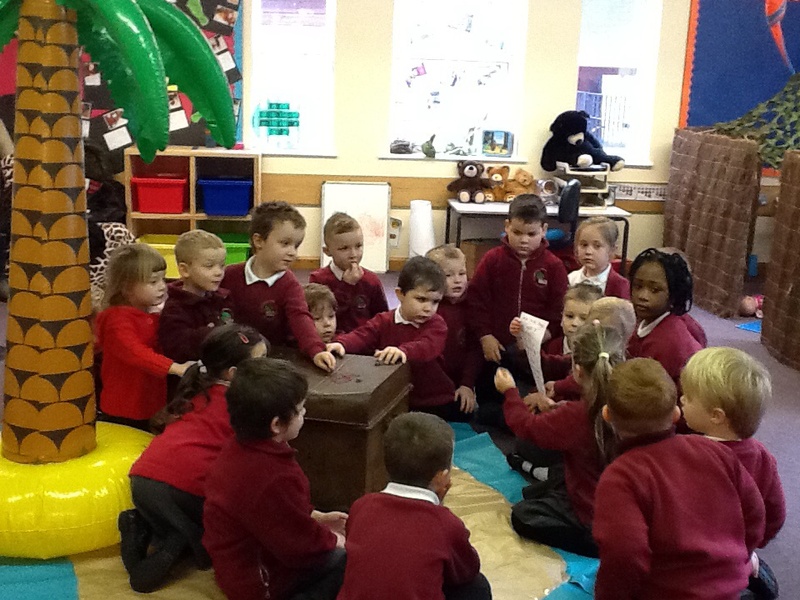 We came back to school on Monday to find an island in the middle of the room. 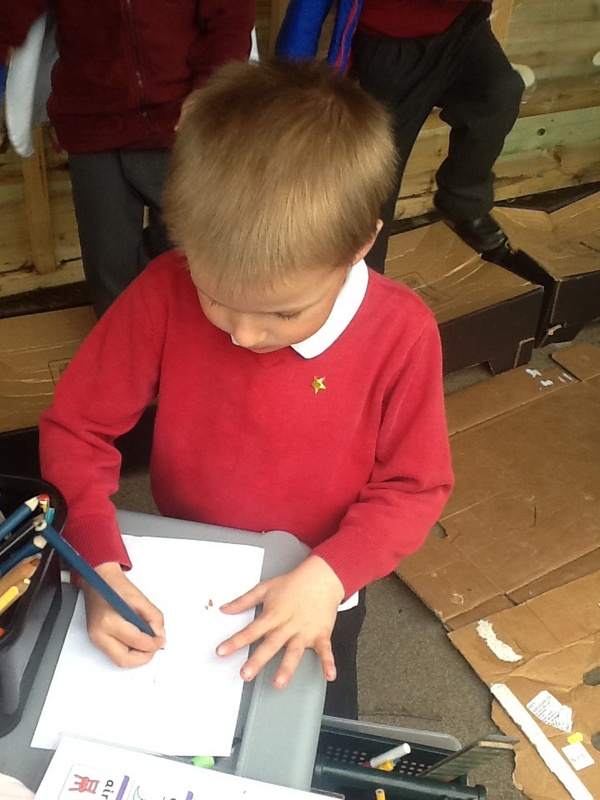 We found a treasure chest and a letter. Who do you think might have been here? 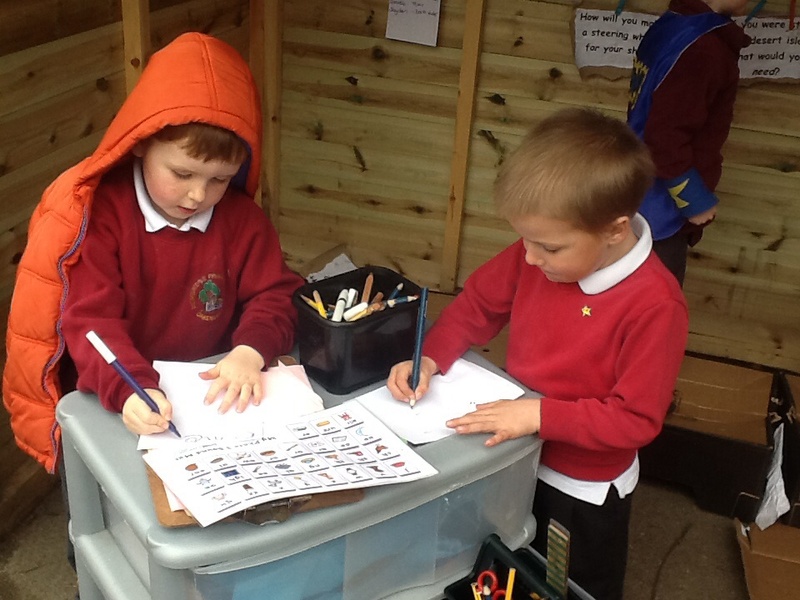 Comments Off on What’s happened to our classroom?